You will be helping "Today, Explained" by completing this short, anonymous survey. It should take no more than 5 minutes. Your answers will help us to match the show with advertisers that best fit the sensibilities of this show and its listeners, like you. Enter your email address at the end for a chance to win a $100 Amazon Gift Card. We won't connect your address with your answers, we promise not to share or sell your email address. 1. 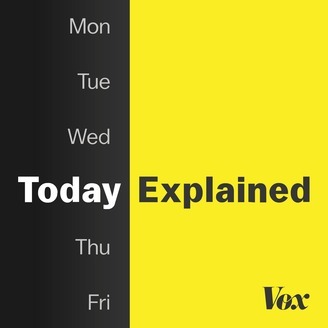 How often do you listen to 'Today, Explained'? *This question is required. 2. Which of the following podcasts do you listen to? *This question is required.